This gap-filling practice guide for handling and protecting retirement benefits in marital dissolutions stresses proper representation and negotiation techniques. While many family law attorneys outsource preparation of QDROs to other professionals, the attorney still requires guidance on how to best protect his client's interests. 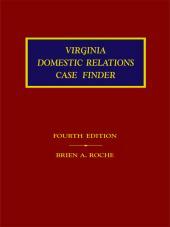 Author Raymond S. Dietrich provides a tightly focused analysis, the necessary information and the strategies critical to properly positioning a case. Effective strategies in negotiating settlement of interests in retirement benefits are poorly understood partly because many family law attorneys send the task out to a specialist, use a form book to draft a QDRO or accept the pension plan administrator's offer of the "standard provisions." This book provides a succinct education regarding the structure of many pension plans, alerts the practitioner to unknown contingencies, empowers the attorney with negotiating strategies and warns of potential attorney liability. 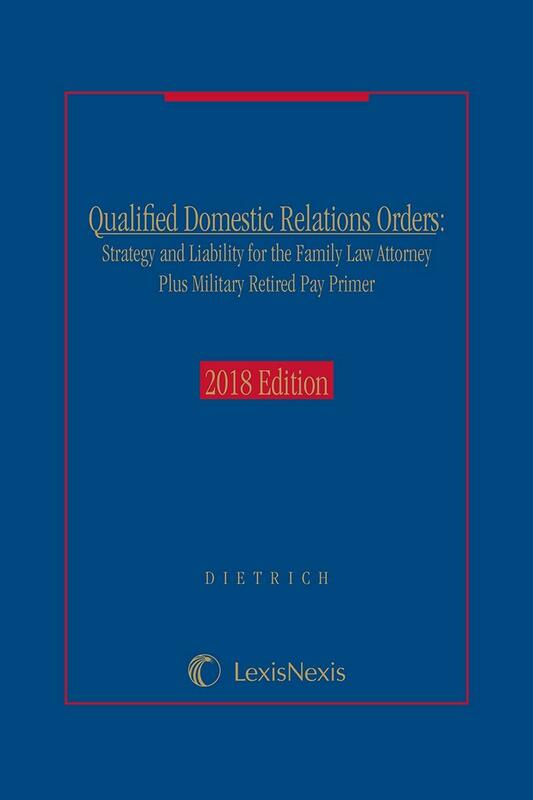 QDRO Strategy and Liability complements all state-specific and national dissolution practice sets and online family law menus in the handling of retirement benefits, one of the most common and important assets in marital dissolution proceedings. This top-of-the-line coverage is a necessary addition for all family law attorneys handling significant asset cases, as well as forensic CPAs and pension plan administrators. 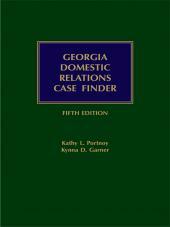 A Table of Cases, a Table of Statutes and an Index complement the synopses at the beginning of each chapter to make analysis and authority easy to find. 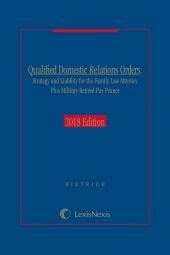 Raymond S. Dietrich manages a multi-jurisdictional law practice specializing in the drafting and litigation of Qualified Domestic Relations Orders (“QDROs”) and related issues. Mr. Dietrich has created a unique niche law practice that specializes in an area of law that is notoriously mishandled. Mr. Dietrich is licensed and actively practices law in Arizona, Nevada, Texas, Virginia, the District of Columbia, Florida, and New York. The firm's website is located at http://www.galleongroup.net/.